Ready to grill Moink balls, Just glaze with a sauce. Packed per five balls. De name MOINK ball is derived from the sound the animals make. Moo from a cow and Oink from a pig makes moink. 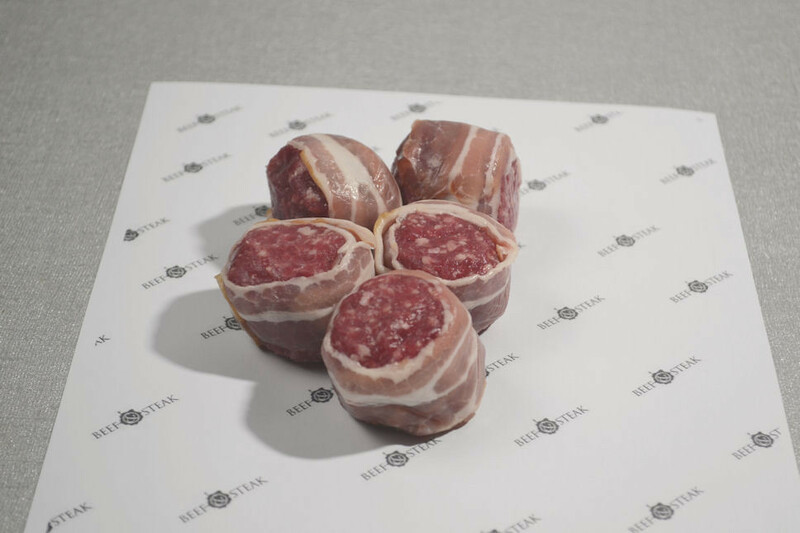 The moink ball is a ball from minced beef, covered with a slice of bacon. When glazed with a bbq sauce a moink ball is delicious on any barbecue.